In the current landscape, you can’t keep a good television show down for long, or even some that are less-than-stellar or run their course. Arrested Development got a new season, and may get another; nerd-favorite Community is probably going to come back online, as is Veronica Mars; and former AMC cop drama The Killing has been cancelled twice, yet a new season appeared on Netflix at the beginning of the month. 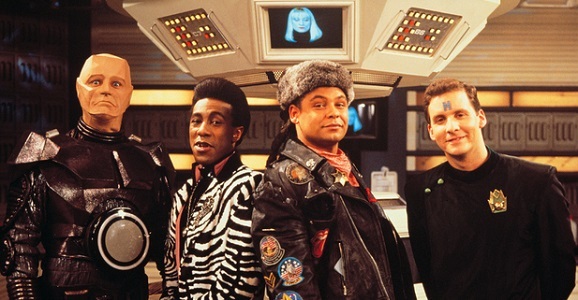 One thing we’re excited to see come back is my favorite show of all time, Red Dwarf. Nothing has been able to stop the crew, and apparently nothing is going to stop the show from getting a season 11. We’ve heard that talks were in progress for another new season, and the writing was in progress, but now What Culture reports that not only is season 11 going to become a reality, there are already dates set for both production and the premiere. The news comes from cast members Chris Barrie, Danny John-Jules, and Robert Llewellyn, who all appeared at the Sci-Fi Scarborough fair over this past weekend. They confirmed that shooting is slated to begin in October of this year, with tentative airdates already penciled in for fall of 2015 on the Dave network. Fans of deep space wackiness, robots, amazing absurdity, and a creature descended from the common house cat, have a lot to be grateful today. Once thought long dead, the venerable British sci-fi sitcom Red Dwarf is coming back to life one more time. Co-creator Doug Naylor has signed on to write an eleventh season, one which is already scheduled to shoot later this year. Announced during a panel at the recent Scarborough, England science fiction convention, series eleven of Red Dwarf is currently slated to go into production in October of this year. This could mean we’ll see new episodes as early as soon as the fall of 2015. Initially that sounds like a long wait, but considering how long we’ve waited before, that’s nothing. 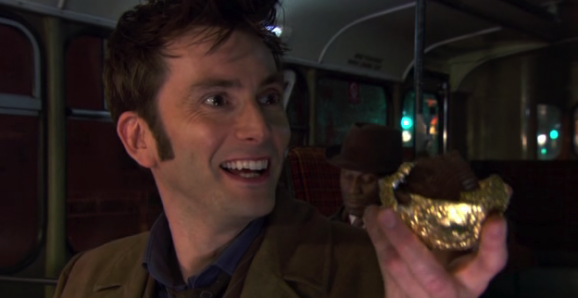 After the barrage of news, rumors, and outright lies that filled our days here at GFR in the months and weeks leading up to the one-two punch of The Day of the Doctor and The Time of the Doctor, you might think I’d be all Who’d out at this point. But damned if that epic fan trailer up top doesn’t make me want to go back and rewatch Matt Smith’s final outings all over again. Check it out if you haven’t, a well-edited fan tribute to the “Doctor Trilogy” made up of “The Name of the Doctor,” The Day of the Doctor, and The Time of the Doctor. It’s a great idea for a trailer, and the only thing I think YouTuber RunAndRemember should have done differently was to find a way to incorporate Paul Gann’s “Night of the Doctor” webisode.